Many Christians are baffled by the prophetic books of the Bible. They want to understand God's Word, but are confused by the language and symbols used to convey the message of the End Times. Author Colene Ledford has answered the call to bring clarity to God's hidden Word. 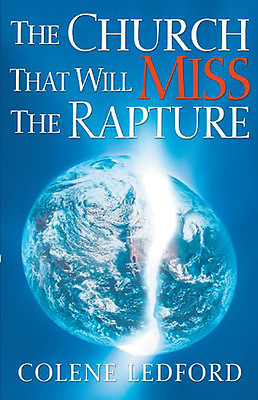 Using extensive biblical references, Ledford guides the reader to a thorough understanding of Bible prophecy. Who will not be saved? Will all of the church be raptured? Where are the angels that fell with Lucifer? Will the church be victorious? Author Colene Ledford is a Bible prophet and a retired entrepreneur. She is married to Walter Ledford and has three children, thirteen grandchildren, and twenty-one great-grandchildren. Having lived in Georgia for several years, where she helped organize a church, Ledford now resides in Orlando, Florida, where she attends New Vision Community Church.